Clemmie is finally back in St Aidan, her old hometown. She left Cornwall to travel and ended up living in Paris. Clemmie is a free spirit and putting down roots is something she thinks she'll never do. When her grandmother leaves her an apartment Clemmie decides to live in it for a while. However, she isn't sure she can keep the place, because she needs money for repairs and doesn't have any savings. Her neighbor Charlie is a property developer who would love to buy the apartment. Clemmie doesn't want that to happen and to save her family legacy she starts The Little Cornish Kitchen. Clemmie makes delicious deserts that she serves on organized events. With paying guests her apartment is profitable, but will she earn enough to keep Charlie away from what she's slowly starting to see as her home? Clemmie has to be inventive, but she also needs help and Charlie is incredibly charming. While he's teaching her how to cook she finds out he has a nice side as well. Clemmie isn't in St Aidan to stay, she still has a job in Paris. Will her wanderlust win it from the joy of spending time with friends and family? The Little Cornish Kitchen is a wonderful heartwarming story. I loved the idea of serving delicious food in a living room setting and could easily picture Clemmie's amazing place. She's a kind and generous person. Staying in the apartment makes her learn something about her family and it was interesting to find out more about her history. Whatever she discovers, she doesn't have to deal with anything by herself. Clemmie is never alone, she always has someone to fall back on. Clemmie's friends are there for her and I loved their bond. For me that was one of the most special parts of the story. Their connection is truly beautiful. 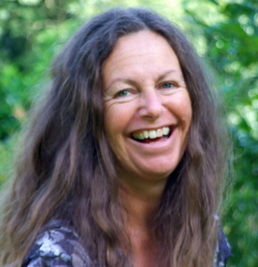 Jane Linfoot combines fabulous friendship with gorgeous true love and that works very well. The Little Cornish Kitchen is filled with delicious descriptions of the most mouthwatering deserts. I could easily picture Clemmie's creations. Jane Linfoot effortlessly sets a perfect atmosphere. I love it when a story makes me smile and The Little Cornish Kitchen has that great sunny feelgood factor. I really liked this tasty book, it's a fantastic captivating story with a sweet romantic ending. 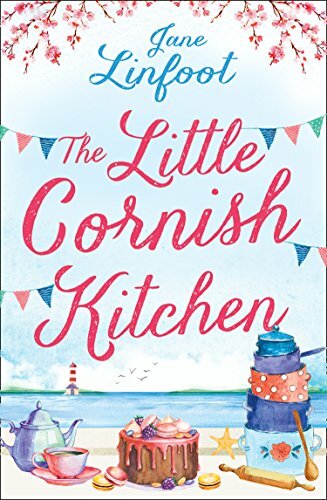 If you love delicious stories about friendship and true love set in small towns you'd definitely like The Little Cornish Kitchen. I write happy fiction, with feisty heroines and lots of heart. Writing is cool, because I get to wear pretty shoes instead of wellies. I live in a mountain kingdom in Derbyshire, England, where my family and pets are kind enough to ignore the chaos – happily, we’re in walking distance of a supermarket. I love hearts, flowers, happy endings, all things vintage & most things french. When I’m not on facebook or twitter, and can’t find an excuse for shopping, I’ll be walking, or gardening. On days when I want to be really scared, I ride a tandem. One very lucky reader of With Love for Books will receive a signed paperback copy of Christmas Promises at the Little Wedding Shop by Jane Linfoot. Another charming book! I'd love to visit Cornwall! The Little Cornish Kitchen sounds warm, uplifting and full of characters you can relate to in the most beautiful setting. Love the heartwarming storyline and the cover design is just lovely! I love stories like this, theey're like a big warm hug. I can see myself enjoying "The Little Cornish Kitchen". I love the covers, they are so cute! Sounds so wonderful! I'm so excited to read it. OOOH this sounds great. Desserts and Cornwall - what a fab combination. Also like the "returning from abroad" scenario too, I like to see whether they made the right decision or not. Of course that was based on The Little Cornish Kitchen NOT the book shown as the prize. Can't wait to read the "prize" book as it's never too early to start reading Christmas novels. 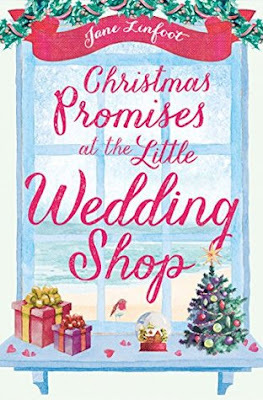 I LOVE The Little Wedding Shop series, hope everyone gets their happy ending! Sounds like an awesome giveaway! Jane's descriptions of the food served in The Little Cornish Kitchen will have you feeling peckish!